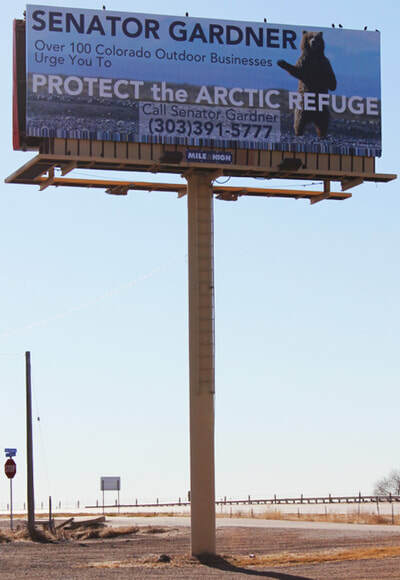 ​Indigenous People, Others Gather at Community Hearing in Albuquerque to Defend the Arctic Refuge. 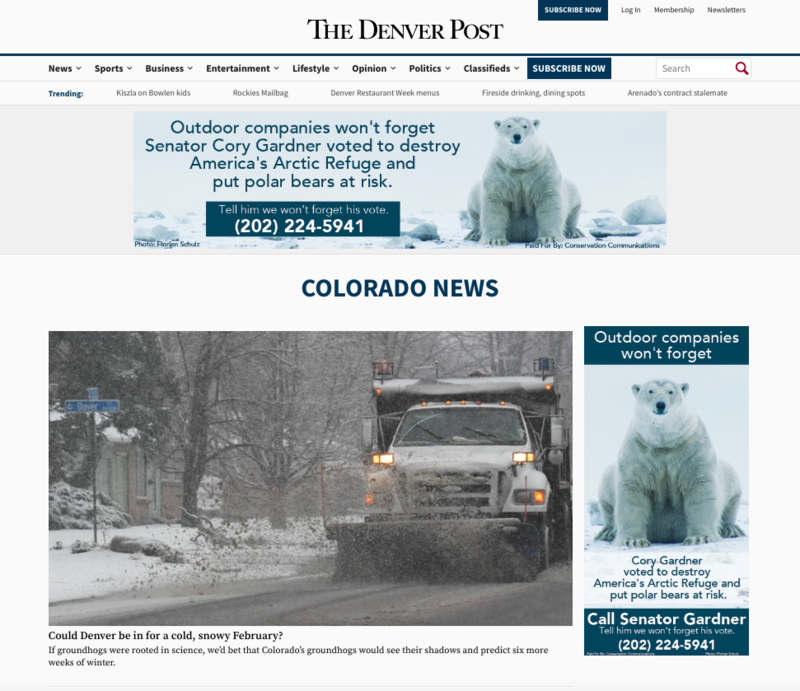 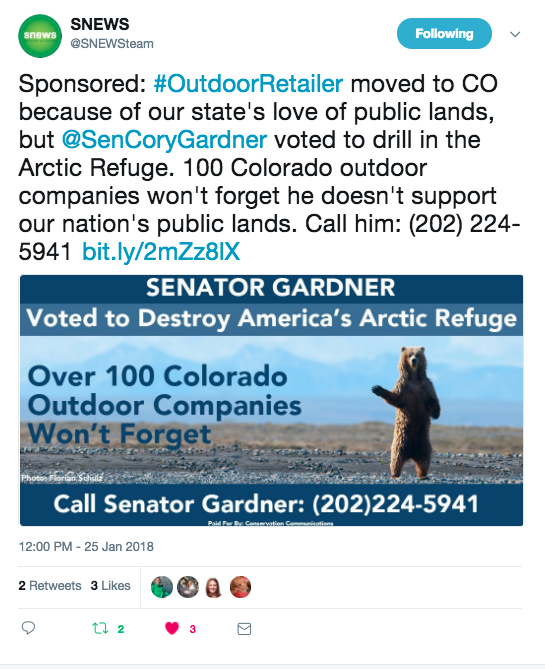 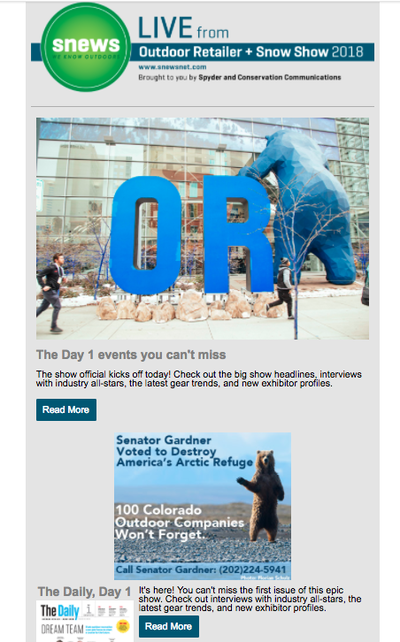 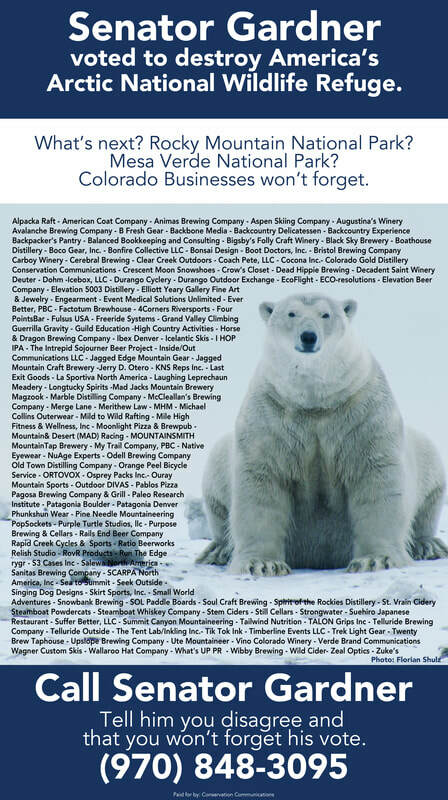 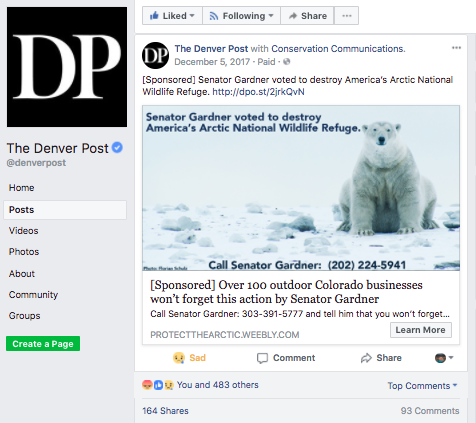 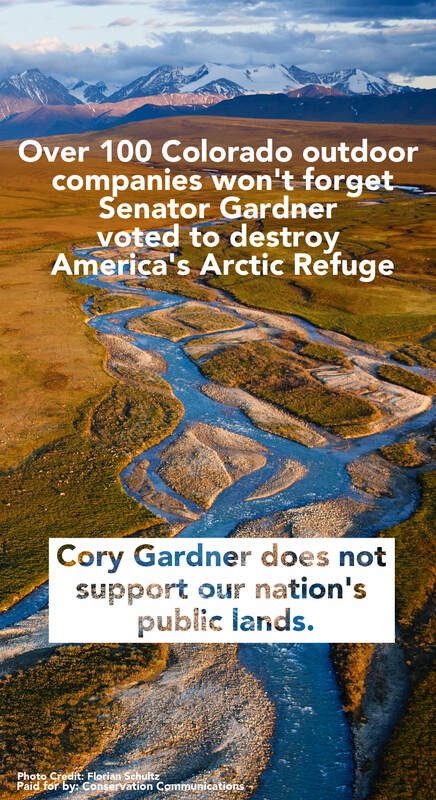 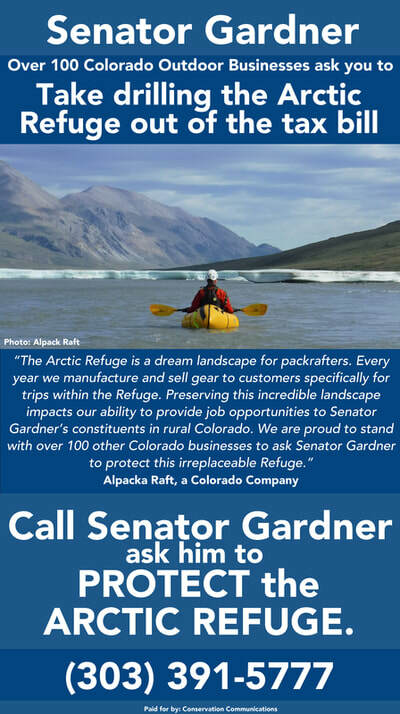 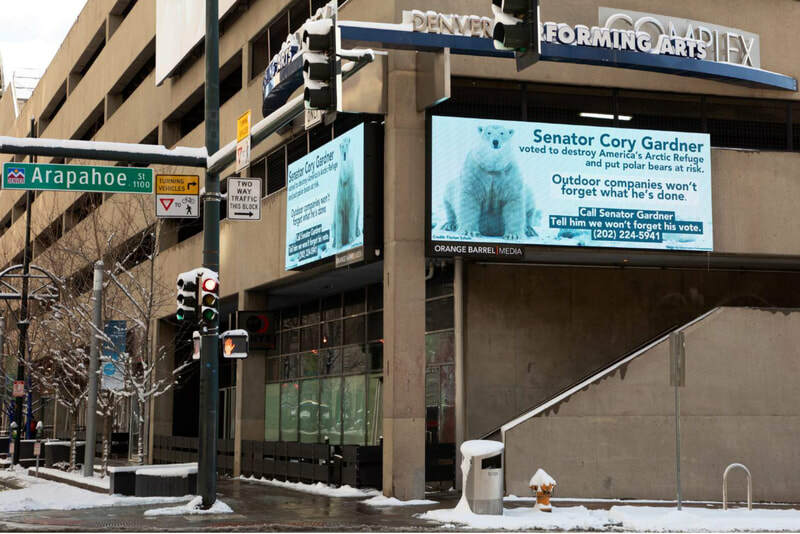 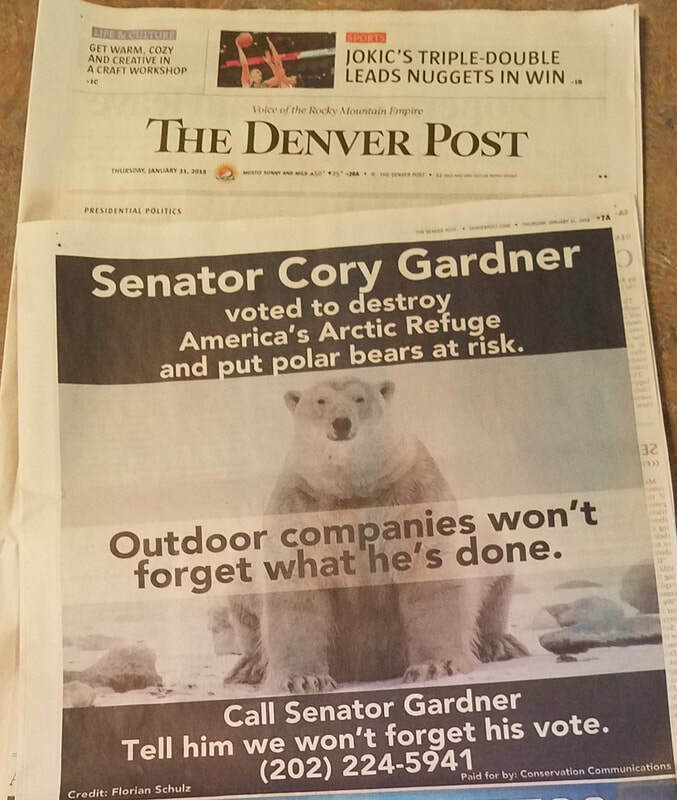 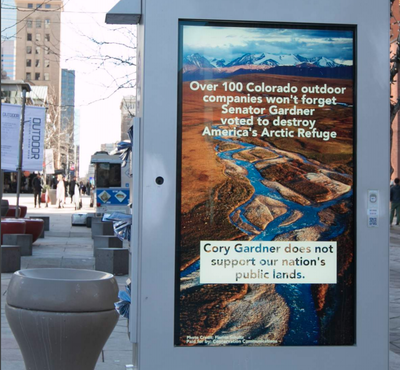 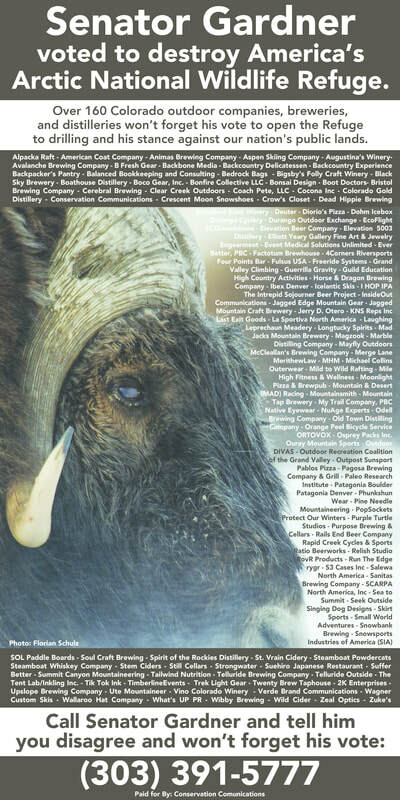 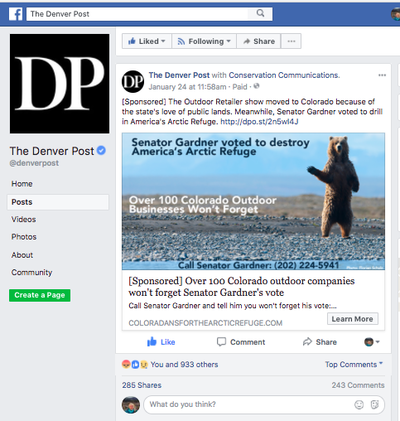 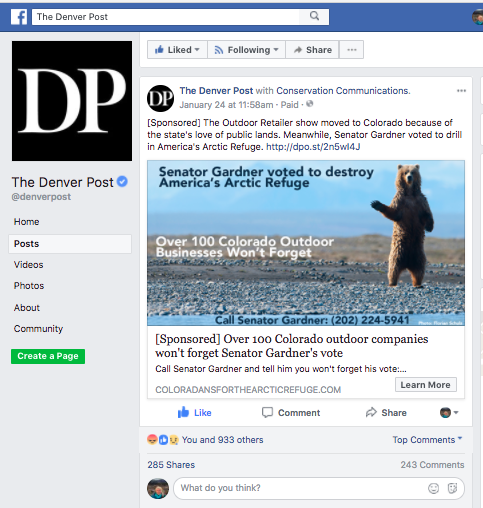 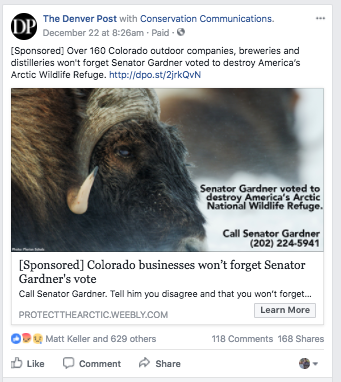 Inside Outdoor Magazine - "Colorado Lawmakers Face Backlash from Outdoor Businesses"
SNEWS Outdoor News - "Senator Gardner votes to allow drilling in the ANWR; Outdoor business owners based in Colorado are livid." 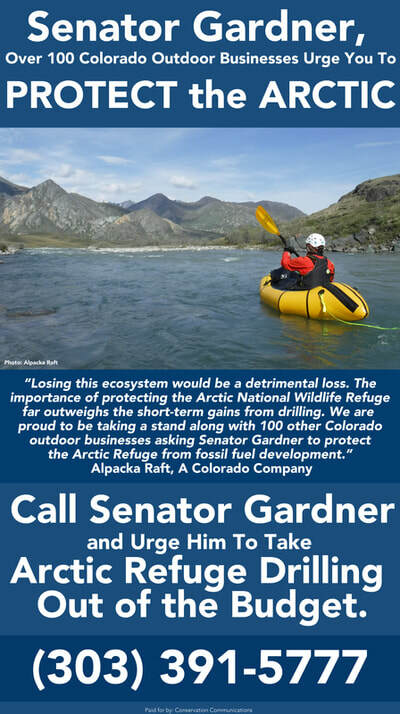 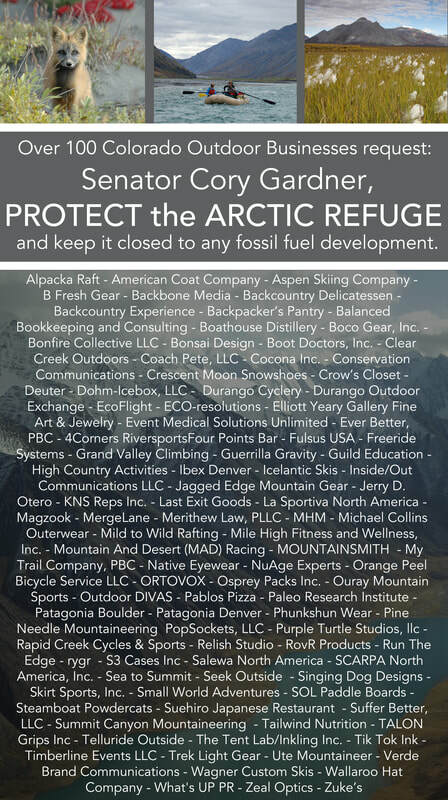 Inside Outdoor Magazine - "Colorado Businesses ‘Furious’ Senator Votes to Open Arctic Refuge to Drilling"
Colorado Politics - "Environmentalists criticize Sen. Gardner for his vote to allow Arctic oil drilling"
SNEWS Outdoor News - ​"Bad news: Senate Republican vote could mean Arctic drilling"
Inside Outdoor Magazine - "Nearly 200 Colorado Companies Call Out Senator on Arctic Refuge Protection"
Salida Mountain Mail - "Local brewers send letter to Gardner"
Backpacker Magazine - Colorado Businesses Urge Lawmakers to Leave ANWR Alone. More than 100 companies signed a petition asking officials not to drill in the Alaskan refuge. 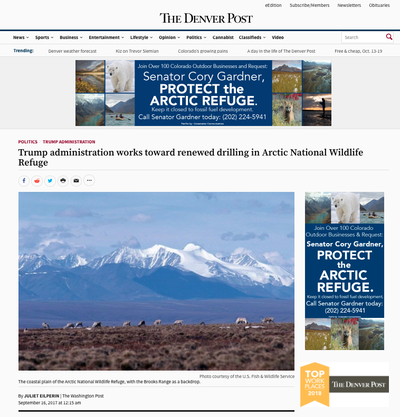 ​Telluride Daily Planet - Telluride-area businesses unite against ANWR drilling. Petition includes more than 100 companies statewide. 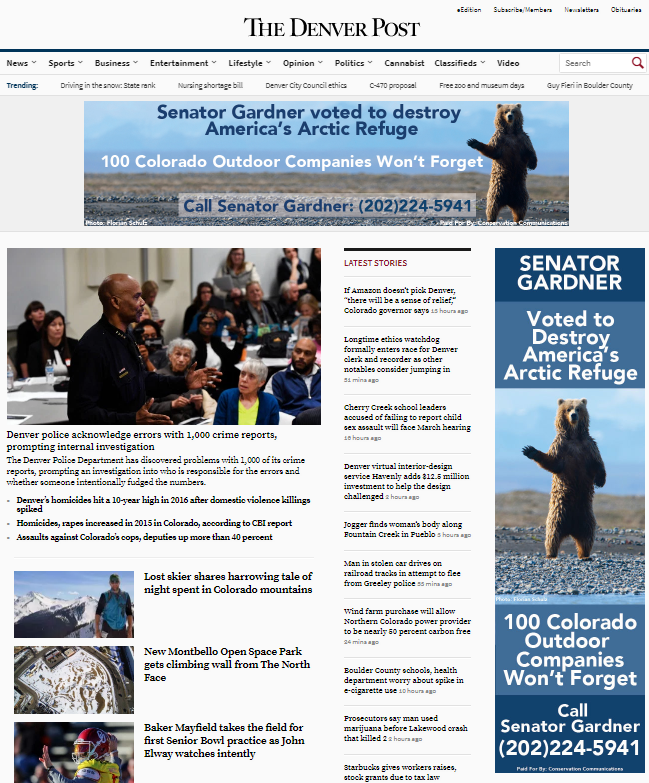 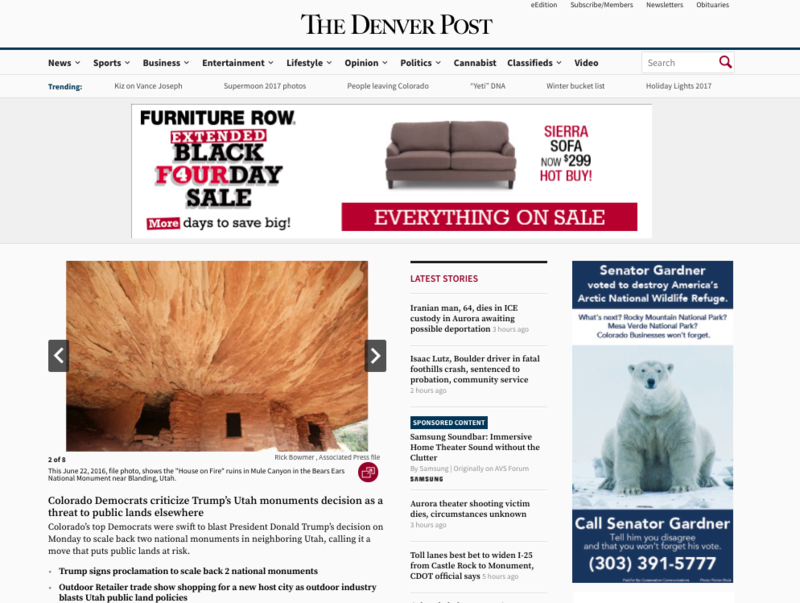 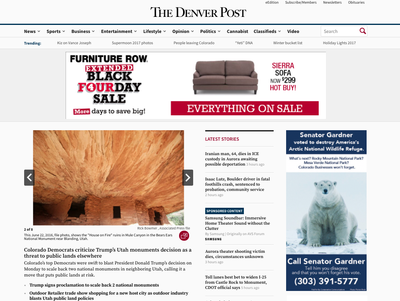 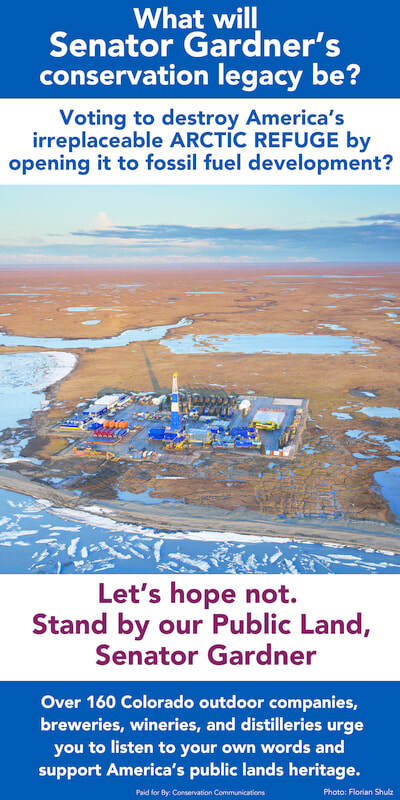 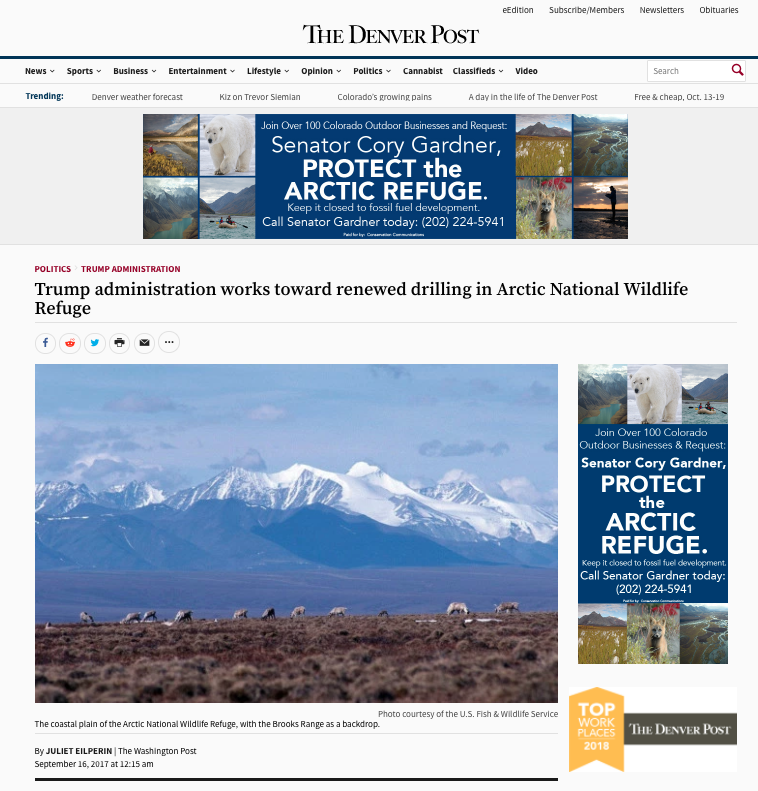 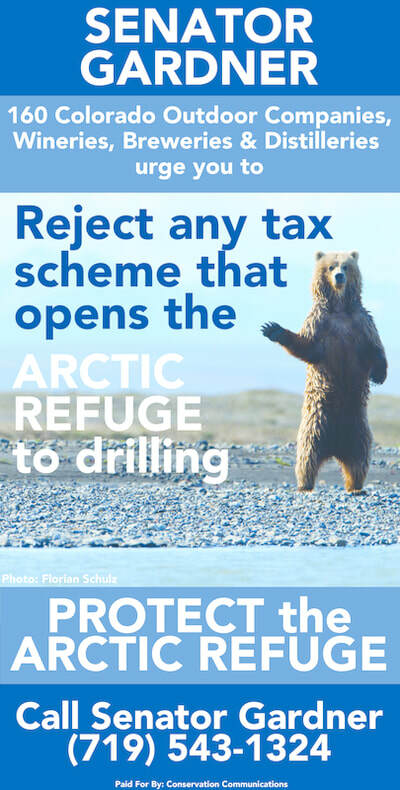 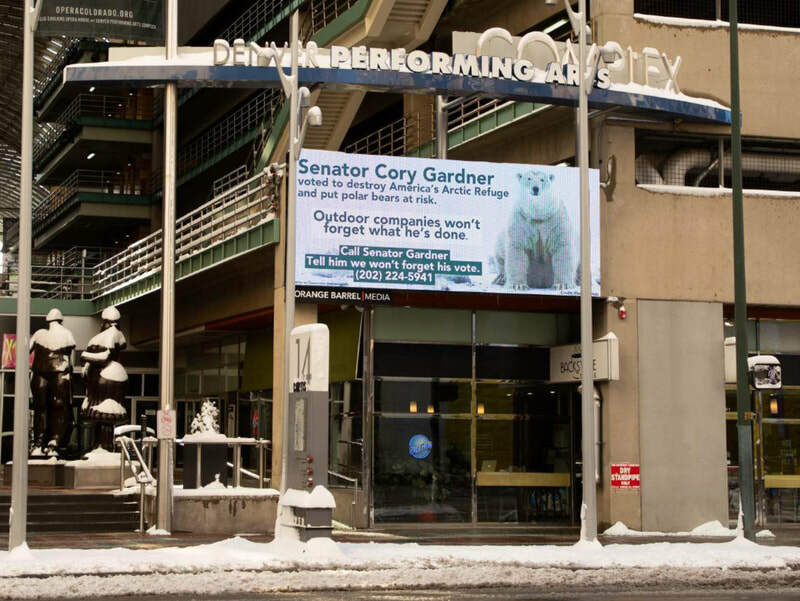 Boulder Daily Camera - "Don't allow oil drilling in Arctic Refuge"